It has been one year since New York City launched its ambitious municipal identification program, dubbed IDNYC, and reports show that the program has been a resounding success. More than 725,000 card applications have been approved, about 10 percent of the eligible population of New Yorkers 14 years of age or older. One of the primary purposes of the program is to provide valid identification for undocumented immigrants living in New York City, of which there are an estimated 640,000. By the very nature of the program -- accepting applications regardless of immigration status and not asking about it on application forms -- quantifying enrollment among undocumented immigrants is hard, if not impossible. But, as the success of the card has led to its celebration and assumptions that undocumented New Yorkers are taking advantage of the program, there is indeed evidence that the de Blasio administration and advocates point to. Ancillary data provided to Gotham Gazette by the Mayor's Office of Immigrant Affairs, which is one of the agencies leading implementation of IDNYC, indicates that immigrants in large numbers have availed of the program. By the end of last year, 732,630 people had applied for the ID, with a high ratio of enrollment coming from immigrant-rich communities across the five boroughs. In Queens, 25,366 identity cards were issued in Corona, another 28,707 in Flushing and 13,654 in Jackson Heights. In Sunset Park, Brooklyn, 22,139 people were issued IDNYC. In Manhattan, 10,142 Chinatown residents and 27,213 people from Washington Heights enrolled in the program. In providing further indication of interest from immigrant New Yorkers, MOIA reported that 52 percent of IDNYC inquiries to the city's 311 helpline were from non-English speakers. Of these, 88 percent spoke Spanish, 4.6 percent spoke Mandarin, followed in turn by Cantonese, Russian, Korean, and at least nine other languages. "We knew there was a huge need for identification but the dramatic response was more than we expected," said MOIA Commissioner Nisha Agarwal in an interview. "This indirect data suggests that immigrants are benefitting from it." Non-profit organizations that work with immigrants agree that IDNYC has been an unqualified success. "If hundreds of thousands of people are getting the IDs, you can imagine that tens of thousands of undocumented immigrants are getting it," said Thanu Yakupitiyage, communications manager for the New York Immigration Coalition. NYIC is an umbrella advocacy organization that works with more than 200 groups across the city helping immigrants and refugees. "Immigrants now feel that they're part of the city in a meaningful way," said Yakupitiyage. "For immigrants, the IDNYC is supporting police-community relations. They can now enter municipal and federal buildings, sign a lease and get a bank account. It's a badge of being a New Yorker." She also cited the program's unprecedented success compared to other municipal identification initiatives elsewhere in the country, such as San Francisco, where enrollment in the first year only touched about two percent. Other groups tell similar stories. Jose Calderon, president of the Hispanic Federation, said that thousands of the people they serve have received the identity cards and now feel a sense of safety and security from it. "It's changed lives in ways that it's hard to quantify, but it's transformative," he said. "It has opened up a new city to people who for decades, even generations have been denied it." Calderon said the next step forward would be ensuring that immigrants can receive all the benefits of the card. "We're hoping this ID creates a bridge between the financial sector and this largely unbanked community," he said. "The hope is to make that connection that's long been missing." This will take some work. Major banks operating in New York recently announced that they would not be accepting IDNYC as a primary source of identification in opening a bank account. This was met with disappointment by leading elected officials, including Mayor Bill de Blasio, Comptroller SCott Stringer, and City Council Speaker Melissa Mark-Viverito. Amalgamated Bank, among about a dozen financial institutions operating about 75 branches across the city, does accept IDNYC for banking purposes. In announcing an expanded year two for IDNYC in December, de Blasio called it "the leading municipal identification program in the country, and an example to cities all across the world." In a statement at the time, Mark-Viverito pointed to access for all, saying, "No matter your status, whether it's immigrant, economic, financial, or if you're homeless or transgender, New Yorkers will be able to take advantage of benefits by signing up for this valuable card." Make the Road New York's co-executive director, Javier Valdes, called IDNYC a "homerun." He said it provides immigrants security and alleviates the anxiety in interactions with the police. His main concern is related to banking, he said. Valdes also hoped that the program stays affordable. "It's going to be free for the second year as well, which I think should be done in perpetuity," he said. There had been some speculation that the card would cost around ten dollars in the second year, but the city announced it would remain free and that there were enhanced benefits, continuing its efforts to make the card appealing to all New Yorkers. Besides keeping IDNYC free of cost, the city has already announced partnerships with more cultural institutions for 2016, bringing the total to more than 40 museums and other organizations. The IDNYC also provides discounts on pet adoptions, the New York Theatre Ballet, soccer matches of New York Football Club, and CitiBike memberships, among other benefits. For MOIA's Agarwal, the next big step is increasing outreach efforts, particularly in immigrant communities. Last year, IDNYC held pop-up enrollments in 53 locations and the outreach team attended at least 1,700 community events, besides its massive advertising campaign. Agarwal said they would set up more pop-up enrollment centers and also look into bringing art and culture to the program with the help of an artist-in-residence at MOIA. "We're exploring the next generation of IDNYC enrollment," she said. Her focus will be reaching out to vulnerable groups such as youth populations (Last year, 21,239 minors received the card) and using more portable technology to work with seniors while making it easier to connect the card with city services. "I think it unifies our city," said Valdes from Make the Road NY, "regardless of who you are, where you live or where you're from." Before you read our preview of this week, check out our 'Week in Review' of last week's political news - it's a good, quick read and includes top photos and stories of the week; key numbers to know from the week's news; and other interesting and fun features. We recently started publishing this new feature every Friday. Eric Garner's Death One Year Later: Friday, July 17 is one year since Eric Garner died at the hands of police officers who were arresting him on a Staten Island street. Expect many commemorations this week, including renewed calls for policing reform and for disciplinary action against NYPD Officer Daniel Pantaleo, whose chokehold led to Garner's death. The NYPD investigation of the incident has been resolved, but Police Commissioner Bratton says the department is awaiting the federal investigation to conclude before announcing NYPD findings. Among the latest coverage emerging as the one-year mark hits, this weekend the Daily News looked at Pantaleo one year later, while the AP went in-depth on the fallout from Garner's death. Summer Crime Numbers: Speaking of the NYPD, as the summer continues many are watching to see what New York City crime numbers look like. The De Blasio administration launched its summer crime-fighting initiative aimed at the parts of the city with the most violent crime earlier this year than last, attempting to stem the uptick in shootings and murders that the city had seen in the first six months of 2015. June was a strong month for those stats. Stay tuned this week as more data becomes available. Cuomo-De Blasio: the governor and the mayor continued their war of words last week, though neither spoke in the kind of terms de Blasio did when he let loose about the governor before leaving on vacation at the start of the month (Example: Cuomo declined to name a single thing de Blasio has done well as mayor when he was asked on WPIX-11). Things may very likely quiet down a bit for the rest of the summer, but you can bet the two will continue to be asked about areas of disagreement and key policies that are at stake as they sort through their relationship and styles of governance. On Monday, de Blasio will host a press conference to make an announcement in the Bronx - he will be joined by City Council Speaker Melissa Mark-Viverito (Cuomo's public schedule has him in New York City, with no events listed). This weekend, de Blasio was out and about while Cuomo was mostly out of the public eye, though he did participate in a campaign fundraiser on Long Island (which was met by protestors). On Sunday, de Blasio delivered remarks and marched "in the Inaugural NYC Disability Pride Parade with the Commissioner of the Mayor's Office for People with Disabilities Victor Calise and members of the administration." He then spoke at "the 43rd Annual Old Timers Stick Ball Game." On Saturday, de Blasio delivered remarks in Central Park at NY CityFest. Also on Saturday, Cuomo's office sent out a statement from Counsel Alphonso David clarifying the memo of understanding between the administration and Senate Majority Leader John Flanagan regarding the continued delay of the ammunition background check database that is outlined in the SAFE Act but has yet to launch. The Friday announcement of the MOU raised many eyebrows and received much criticism from Cuomo's left. Speaker Mark-Viverito will travel back to Arizona this week - she was there earlier this year to talk with Phoenix lawmakers about the city's municipal ID program - where on Friday she will speak at the annual Netroots Nation conference. According to Capital New York, at the conference Mark-Viverito "will participate in a panel titled "Building Progressive Political Power"" and then "also speak at a forum hosted by the Latino Victory Project, a political action committee that raises money and resources for Latino candidates across the country." It's looking like another fairly quiet summer week in terms of events scheduled around the city, and with the City Council holding few hearings this month. But, there's several things on the schedule for your attention - see below - and surely more will pop up as the week begins. "The trial of state Sen. Thomas Libous is the latest legal battle for a New York political figure caught in U.S. Attorney Preet Bharara's war on corruption." Libous' corruption trial is set to start Monday, as Gannett reports. On Monday at 10 a.m., Manhattan Borough President Gale Brewer will attend a press announcement with New York City Dept. of Transportation officials, Columbus Avenue and 86th Street. Democratic presidential candidate Hillary Clinton is due to give an economic policy speech at The New School on Monday. Governor Cuomo's fast food worker wage board will meet on Monday. At 10:30 Monday morning, "Attorney General Eric T. Schneiderman will make remarks in Plattsburgh to discuss efforts to combat the foreclosure crisis in the North Country and across the state." He will be joined by Peter Racette, Deputy Director of the Legal Aid Society of Northeastern New York; Michelle Furnia, Director of Finance and Housing, Friends of the North Country; and Assemblywoman Janet Duprey Plattsburgh Mayor James Calnon, among others. At 11 a.m. Monday there will be a public hearing of the New York City Campaign Finance Board on "proposed amendments to the Campaign Finance Board rules related to public funds eligibility and disclosure statement documentation." At 1 p.m. Monday, Comptroller Scott Stringer will hold a "press conference to announce findings of audit of the New York City Housing Authority's maintenance and repairs" at Grant Houses, 125th Street and Amsterdam Avenue. At 5:30 p.m. Queens "Borough President Melinda Katz will chair a joint meeting of the Borough Board and Borough Cabinet...The Board and Cabinet will hear a presentation from Assistant Chief Terrence Monahan on the New York City Police Department's (NYPD's) new "One City: Safe and Fair – Everywhere" initiative. The initiative calls for a series of strategic changes to form a new framework for neighborhood policing and for building a true partnership between the police and the community in the fight against crime." At 7 p.m. many of the city's Democrats will celebrate at the Manhattan Democratic Party's third annual Demmy Awards. "Event is hosted by New York County Democratic Committee Leader and Assembly Member Keith Wright. "The Demmy Awards honors individuals, organizations and democratic clubs who have made significant contributions to the Democratic Party. NYC Public Advocate Letitia James, NYC Comptroller Scott Stringer, Manhattan Borough President Gale Brewer, Councilwoman Inez Dickens, Councilman Corey Johnson and more to be in attendance." This year's honorees include "New York State Assembly Speaker Carl Heastie, Manhattan Borough President Gale Brewer, RWDSU President Stuart Appelbaum, Federation of Protestant Welfare Agencies Executive Director Jennifer Jones Austin and more." On Tuesday morning, Public Advocate Letitia James will co-host a workshop on avoiding immigration scams with NYIC at the Brooklyn Public Library. Presumed presidential candidate and former Maryland Governor Martin O'Malley "will host an immigration roundtable on Tuesday at 11 AM at the New York Immigration Action Fund, where he will unveil his ideas for fixing our inhumane immigration system." Also Tuesday at 11 a.m., "UFA President Steve Cassidy, joined by recently hired FDNY firefighters will announce a lawsuit against the NY City Council Speaker for her office's efforts to obstruct debate and open government and for creating a total lack of transparency in City Hall...on the steps of the New York State Supreme Court." The issue at stake is disability pension policy. At 2 p.m. there will be a workshop hosted by the Department of Consumer Affairs and the Mayor's Office to Combat Domestic Violence, "ID Theft: Addressing Financial Abuse in Domestic Violence Cases." At 5 p.m. there will be a "Small Business Risk Education Workshop" hosted by the New York Public Library-SIBL. At 6 p.m. the New York City Bar Association will host "What It's Really Like to Practice Law As A Woman." Carmelyn Malalis, Commissioner of the New York City Commission on Human Rights will be one of the speakers. Manhattan Borough President Gale Brewer and New York City Housing Authority (NYCHA) are hosting a series of town hall meetings to discuss the recently released NYCHA Next Generation Plan. There will be a town hall meeting on Tuesday at 6 p.m. at Baruch College. Tuesday evening in Union Square, Transportation Alternatives and Families for Safe Streets will hold a "Vision Zero vigil," commemorating traffic fatalities. BP Brewer is expected to attend. Mount Sinai United Christian Church on Staten Island. Mayor de Blasio, Public Advocate James, Comptroller Stringer, Speaker Mark-Viverito, and other officials are set to attend. The mayor will deliver remarks. James will then host an Iftar celebration in Brooklyn. At 10:30 a.m. Wednesday, the City Council Rules, Privileges and Elections Committee will meet to consider several commission and board appointments. This is the only hearing on the Council's schedule for the week. At noon Manhattan Borough President Gale Brewer and Civic Hall will co-host a "Community Open Data Workshop," on how to use "open data for local community planning. At 7 p.m. there will be a "BetaNYC Civic Hacknight." At 8 a.m. Thursday, the Manhattan Chamber of Commerce will co-host a discussion on the state of development, specifically East Side rezoning in Manhattan. East Midtown Rezoning Steering Committee Co-Chairman and Council Member Dan Garodnick will be giving the keynote speech with a panel featuring Dr. Michael Horodniceanu, President of MTA Capital Construction, and others following. The discussion is sponsored by the Manhattan Chamber of Commerce, Woods Bagot, the Real Estate Board of New York and New York Law School's Center for Real Estate Studies and Center for New York City Law. At 8:30 a.m. there will be a Manhattan Borough Board meeting hosted by BP Brewer. Queens Borough President Melinda Katz will hold a land use hearing at 10:30 a.m. The second in a two-part symposium on race and law enforcement hosted by Roosevelt House public policy institute of Hunter College is on Thursday at 6 p.m. (Part one occured on Tuesday, July 7.) On Thursday the former Executive Director of Mental health for NYC corrections, Daniel Selling, will be among other speakers attending. Manhattan Borough President Gale Brewer will host Iftar Dinner at 6:30 p.m. to honor the month of Ramadan and leaders in Manhattan's Muslim community. The City's 2015 NYC BigApps competition begins on Thursday, with a launch event at Civic Hall. "BigApps is a globally recognized competition that recruits the sharpest minds in tech and innovation to tackle New York City's biggest challenges. Launched in 2009 by the New York City Economic Development Corporation (NYCEDC), BigApps has awarded over $350,000 in prizes, attracted nearly 500 submissions, and engaged thousands of New Yorkers." Expect demonstrations and commemorations of the one-year anniversary of Eric Garner's death. One such event will be on Saturday at noon in Brooklyn, a "Rally to Demand Justice for Eric Garner." Have you read the latest reporting and in-depth articles from Gotham Gazette lately? Take a look here for our most recent articles, you're sure to find something interesting. 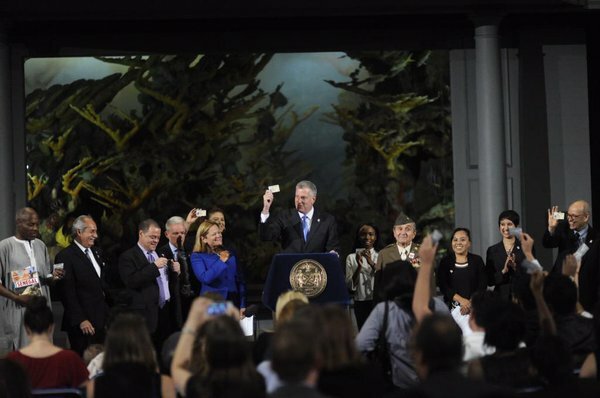 Wednesday, July 1, marked the beginning of the new fiscal year under a $78.6 billion budget agreed upon by Mayor Bill de Blasio and the City Council. When he unveiled his preliminary budget outline in February, de Blasio hailed the plan as “scrupulously fiscally responsible.” The 2016 budget continues a trend of increased spending: from 2010 to 2014, the budget increased at an average of around 4 percent per year. The first budget of the de Blasio administration increased spending by 6.3 percent. Now, the second de Blasio budget has grown 5.2 percent from 2015. “[Fiscal 2015] was his first year and he was able to implement a lot of his new initiatives,” explained Rachel Bardin of Citizens Budget Commission, a nonpartisan and nonprofit civic organization. The increased spending went toward funding programs like universal pre-K, issuing municipal IDs, and homelessness prevention. Spending also increased as the mayor settled contracts with labor unions - de Blasio inherited a situation where all of the city’s municipal unions were working under expired contracts. This year, the budget has grown again, raising several eyebrows. Part of this growth is due to an increase in personnel, including the hiring of an additional 1,297 police officers. An increased city headcount is expensive not only due to annual salaries, but also because of health care and pension costs. While de Blasio has expanded spending, he has also grown the savings funds the city keeps, able to do both because of the flush times the city is enjoying. The trend of growth in spending has prompted a cautious attitude in some, including city Comptroller Scott Stringer, who called on the de Blasio administration to find steeper agency savings and allocate more money toward budgetary reserves. Bardin, of CBC, warns of the implications of the uptick in spending if there is an economic downturn— the likelihood of which is “inevitable,” according to a CBC statement. De Blasio and his budget team agree. The mayor struck a very serious tone during his May executive budget presentation, warning that the economy will certainly not continue to grow as it has been. “We have additional spending built into the budget and our revenues in the downturn wouldn’t be able to support that,” Bardin told Gotham Gazette. With insufficient funds to support the increased spending, a situation could occur in which the city must consider raising taxes, laying off employees, and ending or reducing programs. But Doug Turetsky, Chief of Staff for the Independent Budget Office, pushed back against the idea of an inevitable economic downturn and cited the unprecedented $1 billion the administration just put into the city’s general reserve fund. During the previous administration, the fund typically contained $300 million, Capital New York reported. Meanwhile, the City Council has been trying to further increase transparency by calling for more units of appropriation within the budget, that is more line items with specifics of which programs are being funded. Council Member Julissa Ferreras, who chairs the Council’s finance committee and helps lead budget negotiations with the mayor’s administration, has had several public exchanges with Fuleihan where she has insisted on greater transparency via units of appropriation. In announcing the final budget, Ferreras trumpeted increased specificity, but said there is more work to be done. In an effort at greater transparency, we break down the budget below. First, it is important to note that the “city budget” most refer to and that we have discussed thus far is the expense budget, for operational, programmatic, and personnel expenses, which for fiscal 2016 is $78.6 billion. This includes money to be spent by the City Council and by City Council members in their districts. There is also the city’s capital budget, money dedicated for construction and infrastructure spending. In this big bucket there is also spending by the Council and individual members. The expense budget funds city government services. 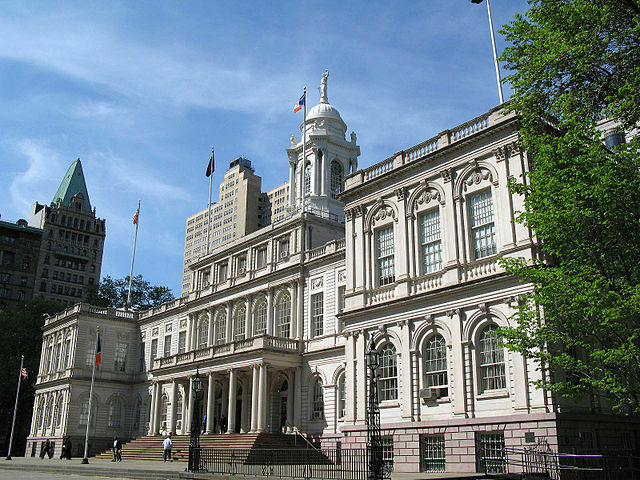 All city agencies, the City Council, and the borough presidents get their operational funding from the expense budget, as do the Comptroller and the Public Advocate; including funding for salaries and pensions of city employees and other operational costs of government offices such as rent, utilities, and office supplies. The budget includes $21.9 billion for the Department of Education, $5.1 billion for the NYPD, and $9.7 billion to the Department of Social Services. It includes $61 million for the City Council, $94 million for the Comptroller’s Office; and $3.4 million for the Public Advocate’s Office. This year’s expense budget includes $25 million for the Borough Presidents’ offices, appropriating $5.8 million to the Brooklyn borough president, $5.65 million to the Bronx borough president, $5.15 million to Queens, $4.7 million to Manhattan and allocated $4.3 million for the Staten Island borough president. The expense budget also funds the city’s debt service— money required to cover the repayment of interest and principal on a debt. The city’s 2015-2016 expense budget allocates $2.93 billion for debt service. City Council discretionary funds make up a relatively small portion of the expense budget, but are traditionally among the most scrutinized pieces of the budget, and released in a document called “Schedule C.” Council members are allocated discretionary funds to give to nonprofit organizations that benefit their district and constituents. In May 2014, reforms were made in an attempt to make the distribution of these funds more equal and transparent— the allocation was previously controlled at the whims of the Speaker, who could use the discretionary funds to reward allies and punish enemies. 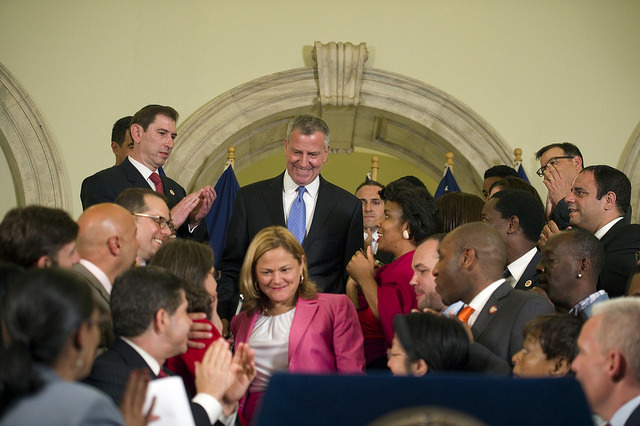 Reforms ushered in under new Speaker Melissa Mark-Viverito and other members brought a uniform system, with each Council member now receiving a base of $400,000, and an additional $25,000, $50,000, $75,000, or $100,000 based on the poverty level of their district. Council members receiving the maximum amount of $500,000 include Maria del Carmen Arroyo, Fernando Cabrera, Vanessa Gibson, and Ritchie Torres— all from the Bronx— as well as Mark-Viverito, who represents East Harlem and part of the Bronx. As Speaker, Mark-Viverito also has access to an additional $16 million, for allocating what is known as the ‘Speaker’s List,’ money to go to organizations and initiatives at the Speaker’s discretion and at the request of Council members. This year, the Speaker’s List heavily funds projects in Brooklyn, including allocating $340,000 to the Brooklyn Chamber of Commerce; $255,000 to Brooklyn Legal Services Corporation; and $250,000 to El Puente Williamsburg, a community human rights organization. Eric Adams, the Brooklyn Borough President, was also the only borough president who received additional funding— $100,000— from the Council for employee compensation. Adams’ office also received $100,000 last year for “personal services enhancement,” along with that of Manhattan Borough President Gale Brewer. Though some have said Brooklyn has long been underfunded despite being the most populous borough, others point to political favors or special needs as the borough booms. Two organizations that see the most funding by the Council are Catholic Charities Community Services, which is set to receive $666,000 ($130,000 from the Speaker herself, using both funds allocated to her as a council member and the Speaker’s List) and the Hispanic Federation ($166,000 funded by the Speaker). The capital budget is distinct from the expense budget, and used to finance large physical infrastructure projects. The infrastructure funded through the capital budget can be either for government use, such as government offices or for public use, such as roads, schools, and parks. For any project to be funded from the capital budget, it should cost at least $35,000 and be useable for at least five years, according to the IBO. Almost all capital funding goes through city agencies. The capital budget also includes discretionary funds for Council members and borough presidents. Last year, 24 Council Members chose to implement the 2014-2015 cycle of participatory budgeting, a process in which district constituents are allowed to propose projects and vote on how a portion of the capital funds their council member has control over should be used ($1-2 million per district). Additionally, the five borough presidents are given the power by the City Charter to allot portions (this year 5 percent) of the city’s capital budget to fund construction projects or improvements to infrastructure. Those portions are then allocated to city agencies or nonprofit organizations. In late June, Manhattan Borough President Gale Brewer announced her office would allocate $30 million in capital grants to projects including playground and athletic field restorations at public parks and tech improvements at CUNY and SUNY campuses. Queens Borough President Melinda Katz announced that she would allocate $200,000 of her capital funds to purchase and install real-time bus countdown clocks at the borough’s busiest bus stops.